On the cover: On the cover: Amir Ayalon, navigating the Web's web. 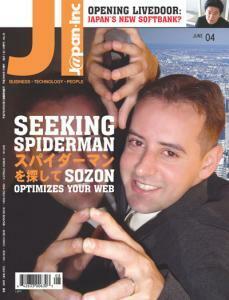 The Web wizard of Japanese search engine optimization. If there is one guarantee in the media business, it's change. Upfront: Will Your PC be a Bot? Sony (and others) want robots to replace desktops. Urban renewal as economic catalyst. Is livedoor Japan's Next Softbank?